and I'm not talking on the London Eye. This photo was as close to that giant bicycle wheel as I got. I"m talking round and round and round this blog. After 5+ years , I thought I'd finally give it an update. Apparently I need to insert a CSS into my banner to get it the way I want. Or pay more money to upgrade. What I really need is alittle CPR. Suddenly I'm re thinking my decision not to take computer science back in 1980. Of course I wouldn't remember anything anyways. Did they even have computers back then?! Of course they did, don't you remember 'The computer wore tennis shoes.'? Classic Disney movie with Kurt Russell. 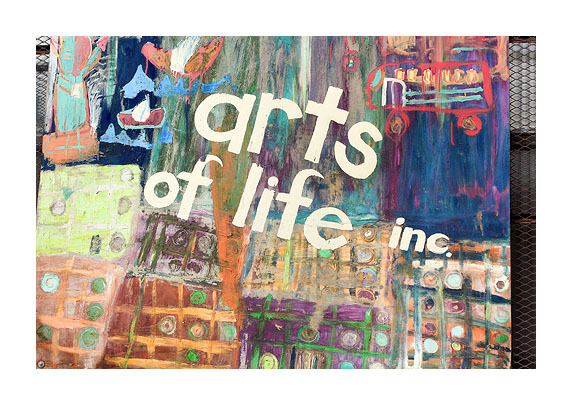 I"m sending out an official facelift SOS for this tired ole blog. If Joan Rivers can do it, then so can I.
when I took this photo in Chicago five years ago. Maria-you were the first to comment. Nicole-correct and reorganizing my room is what I NEED to do. Chris-only you! But I sure would like to take in a Bomber game and a beer right now! and Laura, correct and correct. And for those reasons, you all get a jar of my favorite Uncanny delights! Send me your address and I'll pop them in the mail or drop them off. Thanks so much for reading and commenting. I love comments. 'Take the first step in faith. just take the first step. '- Martin Luther King Jr. I think that I have been taking alot of escalators....it's time to try the stairs. and it's been calling me for the past 30 years. I've just returned from several weeks in the UK. It was a vacation as I saw the incredible sites of London, of Aylesbury, Buckinghamshire and of Edinburgh, Scotland. It was a lesson in history as I got to visit some amazing galleries and museums. And let's face it: just walking around is one big history lesson. But mostly it was a journey; a journey that I've wanted to take my entire life. And it fulfilled everything I wanted it to. And more. And as usual, it was the people. There was no need for me to meet the queen, because I was treated like one, everywhere I went. I am not kidding. I was so lucky in that I stayed with friends the entire time. Old friends and some very new friends. And I met new people everywhere I went....on the plane, on the train and in the parks.....Hyde Park and Regent Park. I tried food that I have never tried before: cactus, haggis , a British pint and a Scottish whisky. I had a cupcake every single day. Oh yes I did. I truly loved it there and I can't wait to go back. I only have one question, should I stay, or should I go? it's Saturday night, I'm going to post twice in one day! with a smile on his face. 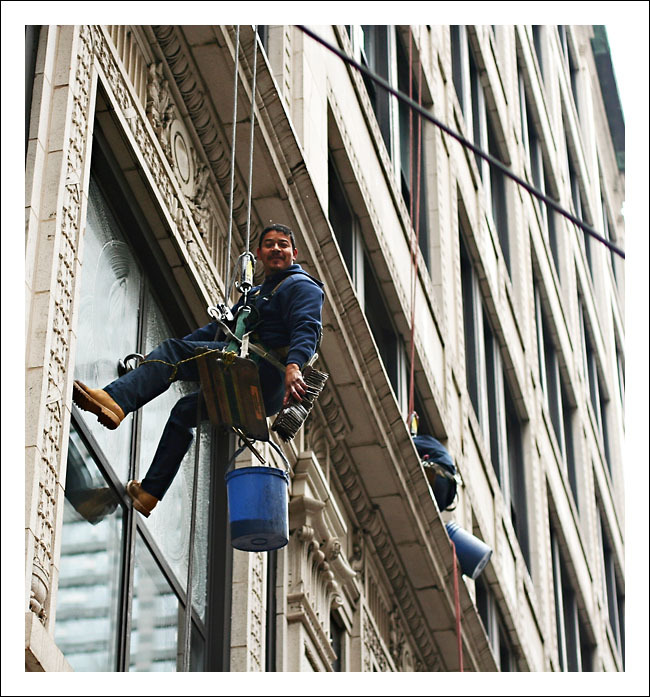 Washing windows in downtown Chicago....I wonder how clean his windows are at his house?!!!! After being a blog stalker for many months, I've been encouraged by all my new photography friends to start one. It's not as easy as it looks! I'll start off by posting a picture of a woman I met in Chicago. This woman was sitting on a park bench downtown Chicago. It was obvious that she loved talking to people and even having her picture taken. She even pulled out a mini photo album of photos of her with different celebrities. I love meeting new people....they're everywhere, just waiting to be met!